Your Appointment will be booked by us in Embassy. Visit visa centre with all essential documents. You will receive you Visa with your Passport via post. Cheese, exotic ranges of wines, Eiffel Tower and a romantic aura, all these things makes France a perfect place to visit and spend some quality time with your loved ones. Thousands of tourists from across the world especially from U.K (United Kingdom) travel to this beautiful place. Be it the rich culture, art, literature, magnificent and charming architecture or soothing music, France has made its special place in each domain in everyone’s heart. With the possession of 37 UNESCO declared World heritage sites along with the high culture, shimmering beaches and amazing seaside resorts, France ranked first as a best tourist destination in the World. Listed as World's Fashion Capital, France has been an important hub of the fashion industry since 17th century and today France is featuring as a home to headquarters of many prominent fashion houses/companies that are flourishing the fashion industry in the world and setting the newest trends in fashion around the world. Visas France is one of the leading companies that help its esteemed clients to take a tour to the most romantic country in the world, France. 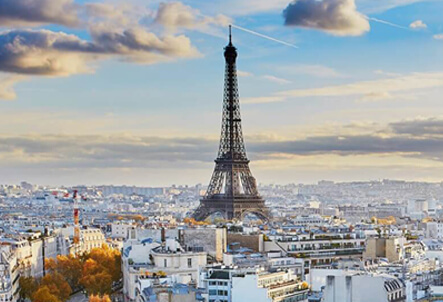 Right from booking Visa Appointment to obtaining the France Tourist Visa , our company will offer you all the information related to France visa services in a hassle free manner with the minimal chances of rejection of Visa to France. Are you planning to visit France on your next holidays? 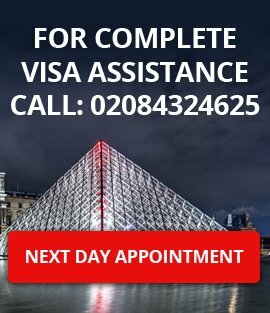 You need not have to worry; VisasFrance.co.uk is here for you to tackle all your queries and to solve them in a jiffy by providing you the assistance from finest professionals. We are going to help you in obtaining Online France on a faster basis with an express appointment. We will help you in getting your appointment booked and will guide with all the relevant documents that you must bring with yourself at the time of appointment. The major aim of visasfrance.co.uk is to serves its guests with the best services without any delay and faults. The major thing that one must take care of is that, for the online France visa process, applicant must take a prior appointment in advance and it is mandatory. Without any prior appointment, applicant would not be attended by the France Consulate in UK. So it is quite essential for every aspirant to confirm their appointment in advance by filling an online form. So, let us start with the visa application process. If you are applying for the visa through the France Embassy, then you must be having the UK resident Visa. Another major point of which you have to take care is that, France should be mentioned as the “main destination” for your upcoming trip. By the main destination, we refer to the place in a specific country where you will be going to spend your most of the time. We will guide you through all the process and will be assisting you in booking your online appointment according to your convenience. Our highly efficient professionals will take care of your every requirement and will coordinate you in the process on the daily basis. You will be also continuously informed about the status of your application of visa. To start with the process you have you click on the “Apply Now” button and fill up the application form. Once the form is filled, you will be contacted by our representative soon after that. In case, if you face any problem while filling the online application form, then you can contact us via mail at info@visasfrance.co.uk or can directly call our visa experts at 02084324625. Once all the formalities of form are completed, you need to submit all the proofs related to travel, that confirm your entire trip to Visa Centre at the time of your appointment. All the things mentioned in the above given list are for your reference. You will be facilitating with the detailed information and requirement by our experts according to you visa application category. Along with all these we will also help you in booking your flight and hotel as these things are necessary with application form. 1. If you possesses any of the Schengen Visa such as French Visa, Spanish Visa or German Visa, then you are permitted to travel through all 26 countries with the same visa till the date your visa is valid. 2. In case, your old visa is still active then you will not be allowed with new visa by the French Embassy. So you will not be offered with new visa until your old visa gets expired or gets cancelled by the French Embassy. 3. There might be slight change in the eligibility criteria in some kinds of visa and for that we request you to contact us directly. You will be assisted by our experts. The change in the eligibility criteria will be in the form of married UK or EU national, Self Employed, Unemployed, student, unmarried and etc. You will be assisted online, throughout the process without any hassle.